Saint Christopher is the patron saint of travel. 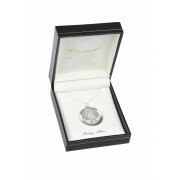 JCI Jewellery present a beautiful sterling silver chain and round Saint Christopher pendant. 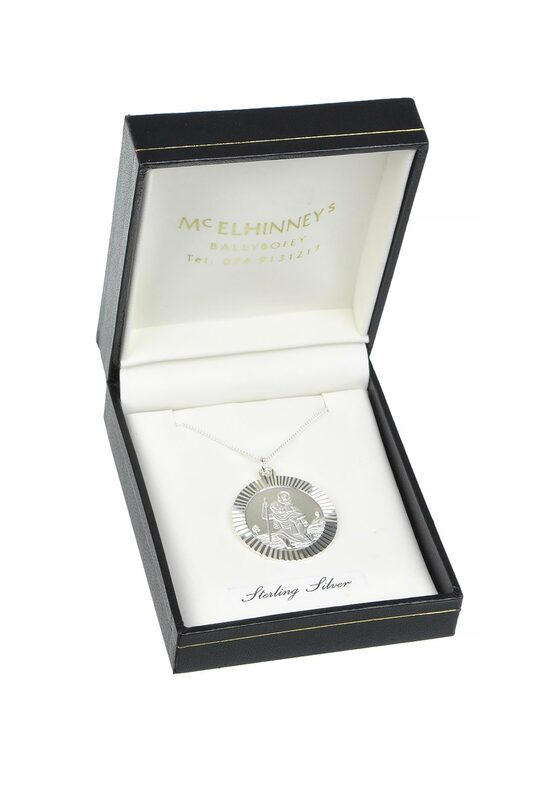 This pendant is double sided, the front side features an engraved image of Saint Christopher and the back has an engraved image of a plane, boat, train and car.